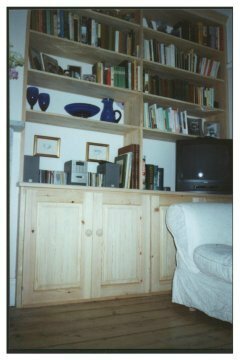 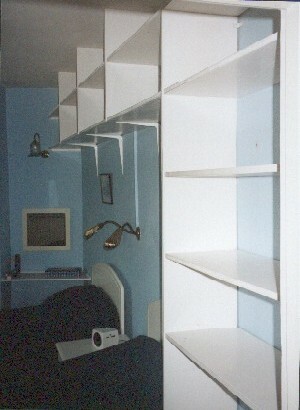 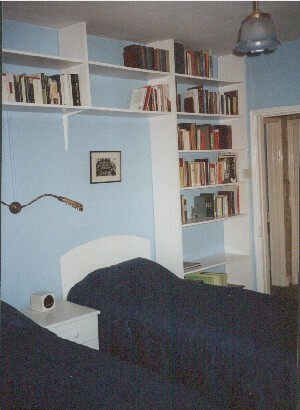 Solid pine bookcase & cupboards using dimensions designed to accommodate television;video unit;videos & CDs & different sized books.The work was then finished by applying natural wax and buffed to a soft sheen. 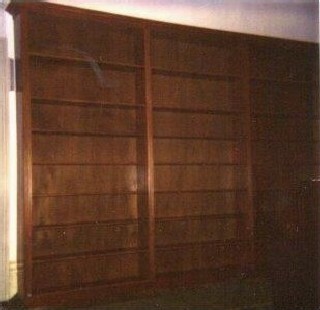 Solid mahogany 'four section' bookcase (the 4th section out of view on right).Design amply accommodates large books on the top two shelves. 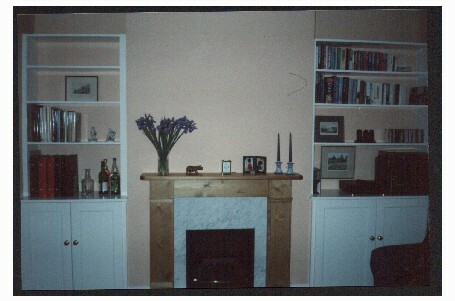 Features include reeded mouldings on the sides and over adjoining sections with custom made cornice around the top.The whole was traditionally French polished to a semi bright sheen. 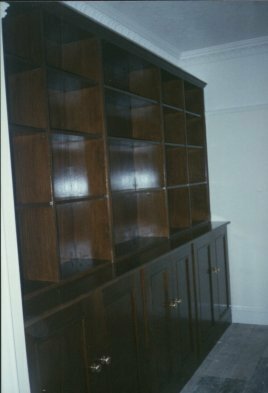 Bookcase & cupboards in solid oak, French polished to a bright deep dark oak finish to provide contrast to the light painted walls & ceiling. 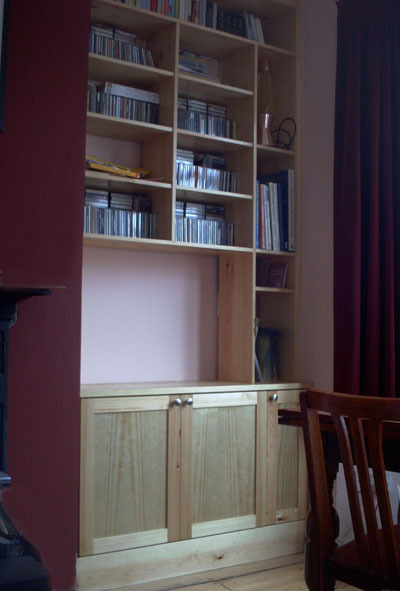 Above: Painted mdf bookcases & cupboards with straight lines and square edges giving a simple yet elegant appeal. 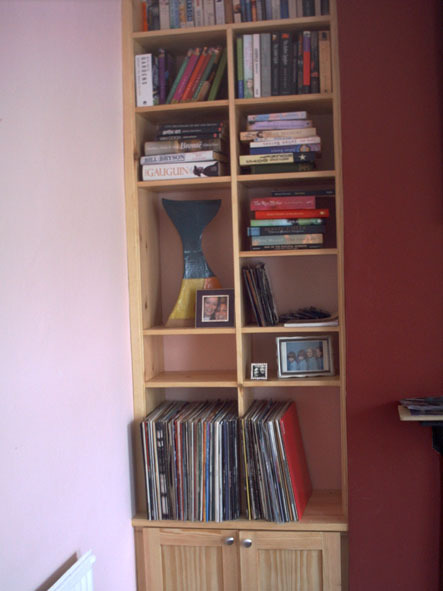 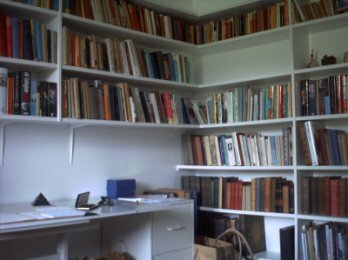 Below: Basic & simple to provide much needed ample storage room for more books.The shelves were housed in grooves on the vertical dividers thus the only visible supports are the brackets and narrow battens on the far wall.